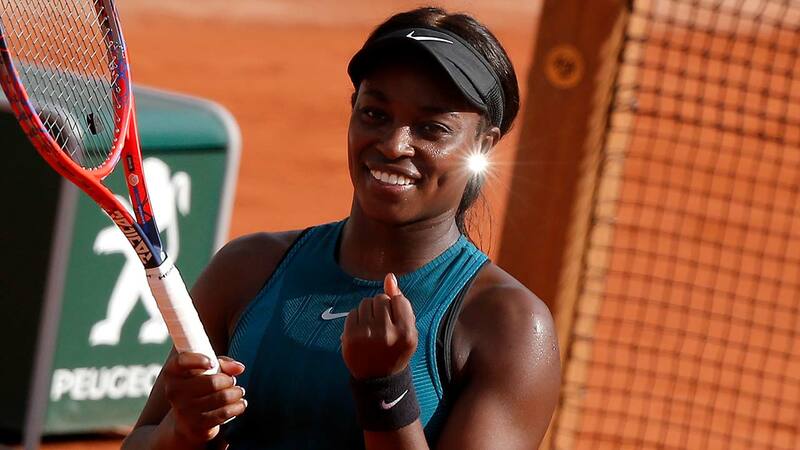 Sloane Stephens of the U.S. clenches her fist after defeating compatriot Madison Keys in the semifinal match of the French Open tennis tournament at the Roland Garros stadium. FRESNO, Calif. (KFSN) -- Fresno native Sloane Stephens is one step closer to winning one of tennis' most prestigious tournaments. She just qualified to move on to the French Open finals! Stephens face off with Simona Halep Saturday. Stephens started her tennis career in Fresno at the age of nine. She is the reigning US Open champ. Fellow Fresno native, Quincy Pondexter celebrated her success in a tweet writing, "One more Sloane Stephens!!! Lil' sis is unbelievable!"